Our goal is a closed-loop process. We believe our goal of Environmental Sustainability should be a closed-loop application process in the field, where products are manufactured in almost the exact amount our artist use on a daily basis and from recycled bottles. We already have programs in place to ensure that the materials we use are sourced responsibly through strict standards and programs that drive positive change. To start, we’re encouraging our suppliers to recycle their own bottles and tools after we used them through a simple chain which we can ship them back. Not to much. Not to little. We’re pioneering innovative new bottling techniques with the manufacture pFOkUS®, like our line of 4oz bottles, so we can claim and use almost 100% of the material that day with little to not waste. 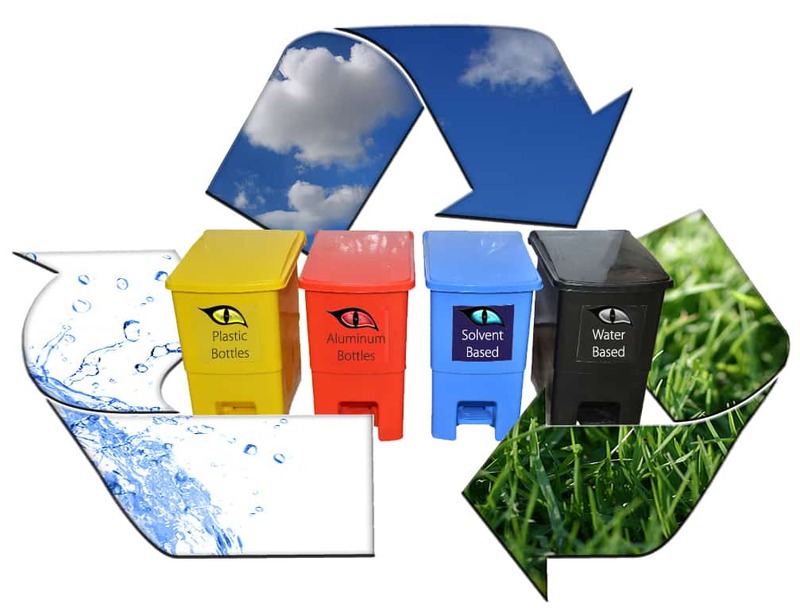 It was an ambitious goal that required many years of collaboration across multiple focus groups, our supplier pFOkUS®, and specialty recyclers — but our work is already under way. And with this new invent of the Vault to hold the smaller bottles, we are able now to travel in smaller more efficient automobiles. We carefully test all products and materials we use in our restoration processes. For example, we monitored all of our warranty work and any other call backs we came across. We learned if we apply a stronger 2-part titanium sealer the first time, it will have less impact on the environment than applying a water based sealer ever year. Using the correct products, the first time, even if they are not as green as others, in the long run they prevent harsh chemical usage and multiple restorations of the same project. To protect people and the planet, we set strict standards on the disposal of used chemicals and tools, often going far beyond than normal. The sealers we use catalyze and will become a solid, but they do need a place to cure out within a 3-day period. All of the cleaners we use are water based. So we built an Environmental Disposal Process with pFOkUS®, where our artists can recycle and dispose of all left over products. 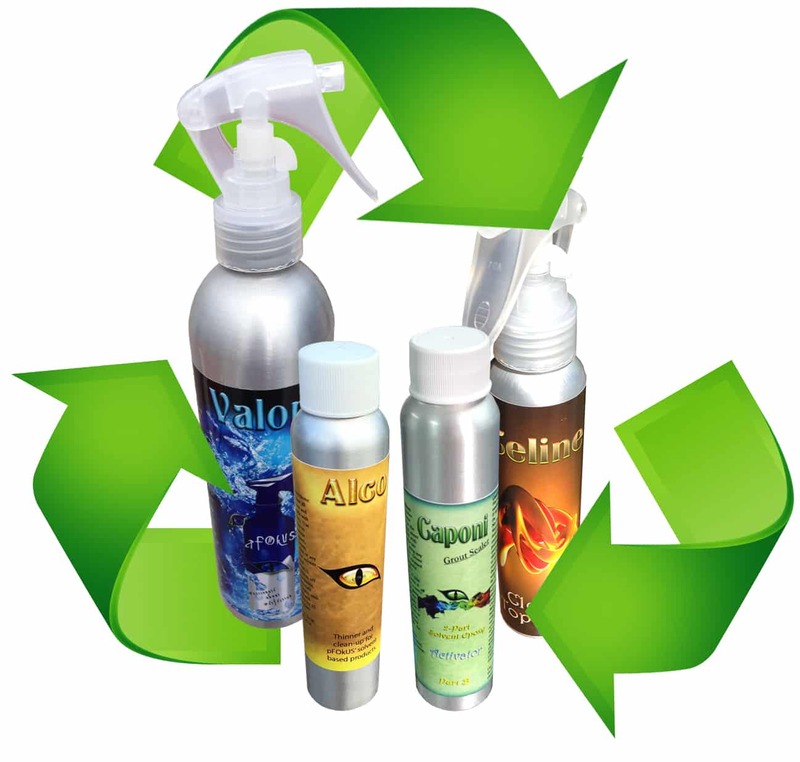 The pFOkUS® lab also uses all the left over bottles and recycles them with any leftover products that can be reused.